The New Museum of Contemporary Art. New York, NY. Photo by Hisao Suzuki, courtesy of SANAA. 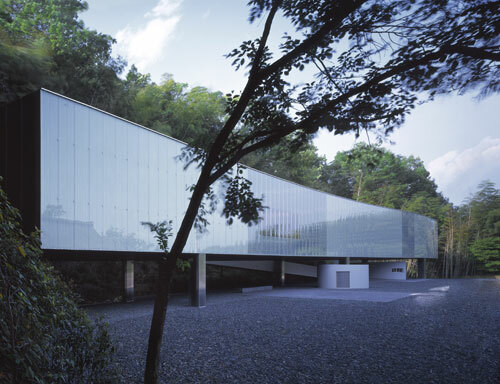 Kazuyo Sejima and Ryue Nishizawa of the Japanese architectural firm SANAA have just been named this year's Pritzker Architecture Prize Laureates. The Pritzker family, through their Hyatt Foundation, honor distinguished architecture, generally a body of work, (even if, as in the case of laureate Zaha Hadid in 2004, many of her schemes were unbuilt at the time of the award). The results were beyond our expectations, particularly with the addition of the open mesh screen, which was not part of the original plan. It adds a layer of movement, play of light and dynamism to the building which so brilliantly telegraphs our mission of being open to change. Though on a small site, it is open to the street- the lobby floor seems an extension of the sidewalk, and the building opens up as you go up through it - ceilings get higher, light pours in through skylights, culminating with 250% views up top. The building still stops people in their tracks on the street. 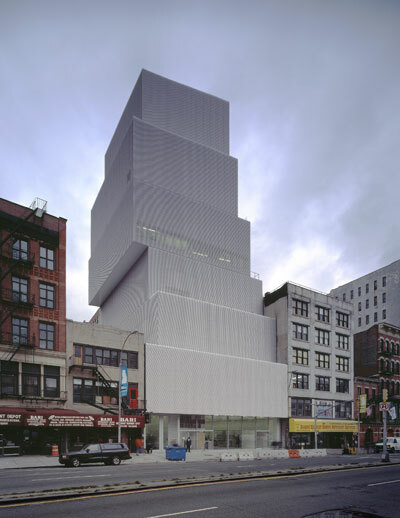 Their 'beautiful rough' aesthetic is perfect for the New Museum and the Bowery. I was also lucky enough to be able to get an "insider's" perspective from Sam Chermayeff, a young architect who grew up in NY and went to college in Texas who has been working with SANAA for five years, and thus was able to tell me a little of what goes on behind the scenes. Chermayeff stresses the egalitarian nature of the practice: the open spaces (the only private room is a bathroom), the inclusion of the younger staff in decision-making, the late nights ("Sejima-san sometimes doesn't come in until noon, often working throughout the night because the phone doesn't ring"), the dedicated work ethic that imbues every aspect of the practice, the fact that other projects or models are never referenced in a presentation because of the wholly original, passionate nature of the work which is uniformly open and accessible. He says there isn't much work with developers--although nothing would preclude it-- because of the nature of their commissions which have thus far served mostly cultural programs. Chermayeff, who is at pains to protect his bosses from questions prying into their personal life, will nevertheless admit that "Sejima-san is like a mom" (though he didn't say Nishizawa-san was like the dad). O-Museum. Iida, Japan. Photo by Hisao Suzuki, courtesy of SANAA. Is there a Pritzker "bump" like the Oscar bump at the box office? It remains to be seen. All laureates are well known, but not all have equally thriving practices. Some of that has to do with the nature of their forward-thinking work. But in the case of SANAA, I cannot imagine that their graceful yet contemporary aesthetic won't now reach a wider public. In a time of stress on many architectural firms, SANAA seems poised to straddle the line between design and commerce very well. The two architects took a rare late night break away from work to answer a few questions by email from their offices in Tokyo. 21st Century Museum of Contemporary Art. Kanazawa, Japan. Photo by SANAA. CULTURE ZOHN: Lord Palumbo, the jury chair, said that you were selected in part because your architecture is "ingenious but not overly clever." Does that mean that it's easier to digest than, say, Zaha Hadid, a previous laureate, whose work often is challenging both to clients and builders? SANAA: Our work can sometimes be difficult to build too. It is also occasionally hard to understand before it is built, even for us. We are always making models to try and understand the atmosphere and space. We hope that everyone can feel this atmosphere during the process and understand what the project might feel like. CZ: Questions about your collaborative process are in the air. How do you manage it? Is there a lead architect on each project? Please describe the mechanics of how your particular collaboration works or has worked on a specific project--or one that is in development now. S: Between the two of us there is not a design leader. Inside of our office there is a responsible person who comes to us when decisions need to be made. This person is the leader. We collaborate as equals but we are not the same. We keep each other from losing our way more than anything. We sometimes argue but usually we give each other pause to think and then quietly agree on a new direction. Often one of us is allowed to be emotional while the other stays rational. Who is feeling one way or the other changes every day. Mostly, we sit together in the office at a very big table discussing ideas. We rarely decide anything. We like to think about different possibilities until late at night. CZ: One of the strengths of the New Museum was the way it fit itself into the space and yet managed to open it up at the same time. 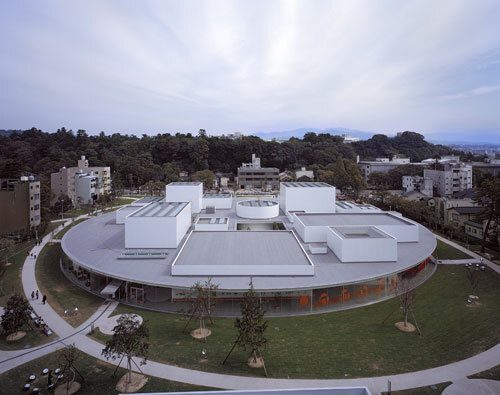 In the other projects specifically cited by the jury (The O Museum in Nagano and the museum in Kanazawa), these space constraints were not as pressing. Yet your designs still feel compact. Is there something in your work that elicits a certain containment or is this just a residual effect of growing up in an tightly constricted urban environment? S: We sometimes have a strong desire to keep open space and to let the site instead of the building make the atmosphere. We are often thinking about buildings that add to the existing feeling by reflecting it or just reshaping slightly. Sometimes compact things actually demand more attention. This can actually mean that a site feels better when spreading a building out, like in our Louvre-Lens project. 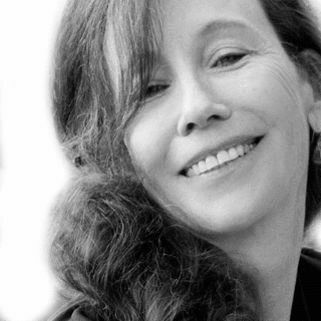 CZ: You have been selected to head the Venice Architecture Biennale, which opens to the public at the end of August. You will be looking at a lot of other architects' work. Who are the other architects who intrigue you today? You are said to revere Le Corbusier and Oscar Niemeyer. Is "standing the test of time" one way of curating such an exhibition? S: We've discovered a lot of architects in the last few months. We still like Le Corbusier and Oscar Niemeyer, but this is not about their timelessness per se. We don't want to name living architects because we might leave out someone that we really love. The Biennale is frightening in this way. CZ: You designed a building for Dior but you wear Comme des Garcons. Do you prefer any other designers? Do you even have time to shop or go out or do anything with friends or family or is it all work all the time? How do you reconcile the demands of a personal life with a professional life that is so all consuming? S: We like Comme des Garcons very much, Dior too. Rei Kawakubo sent a particularly beautiful bouquet of flowers this week to congratulate us for the Pritzker. She has very good sense. Our staff, our clients, former and present, fellow architects and so forth are our friends. We travel together and eat together. Basically, our working world is very much like a big family. We like thinking about architecture.